Narodila se v německém Erfurtu v rodině hudebníků, studovala hru na hoboj na Spezial – schule für Musik a Hochschule für Musik Carl-Maria von Weber v Drážďanech a Hochschule für Musik Hanns Eisler v Berlíně. V letech 2003–2005 studovala barokní hoboj u Alfreda Bernardiniho na Hudební konzervatoři v Amsterdamu. Již během studií začala spolupracovat s různými soubory specializujícími se na stylovou interpretaci staré hudby (Lauttencompagney Berlin, Dresdener Barockorchester, Akademie für Alte Musik Berlin, Concerto Köln, English Baroque Soloists, Collegium 1704, Elbipolis, Les Amis de Philippe aj.). Jako sólistka účinkovala na koncertech po celé Evropě a v Japonsku, které byly vysílány rozhlasem, a podílela se na mnoha nahrávkách CD. Luise Haugk žije v Drážďanech, je vdaná a má dva syny a dceru. Born into a musical family in Erfurt, Germany, Luise Haugk studied modern oboe at the Spezialschule für Musik in Dresden, the Hochschule für Musik Carl-Maria von Weber in Dresden, as well as at the Academy of Music Hanns Eisler in Berlin. During her studies, she became interested in historical performance practice and studied baroque oboe with Alfredo Bernardini between 2003 and 2005 at the Conservatory of Music in Amsterdam. 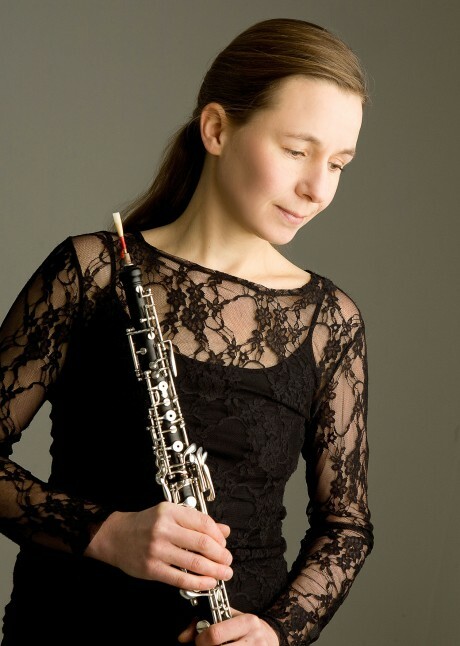 While studying baroque oboe, Luise Haugk began working together with various ensembles specializing in historical performance practice, including the Lauttencompagney Berlin, the Dresdener Barockorchester, the Akademie für Alte Musik Berlin, Concerto Köln, the English Baroque Soloists, Collegium 1704, Elbipolis, Collegium Marianum, Musica Florea, Cech Ensemble Baroque and others. Her musical activities as both a freelance musician and as a soloist has given her the opportunity to perform throughout Europe, the USA and in Japan, as well as participate in numerous radio broadcasts and CD recordings. .
Luise Haugk currently lives in Dresden, is married and has two sons and a daughter.